13th TAGCOM (Toys & Hobbies Convention) will be on April 13-14, 2019 at SM Megatrade Hall 3, SM Megamall. Enjoy the fun as we see COSPLAY, KPOP, ARTISTS and TOYS! 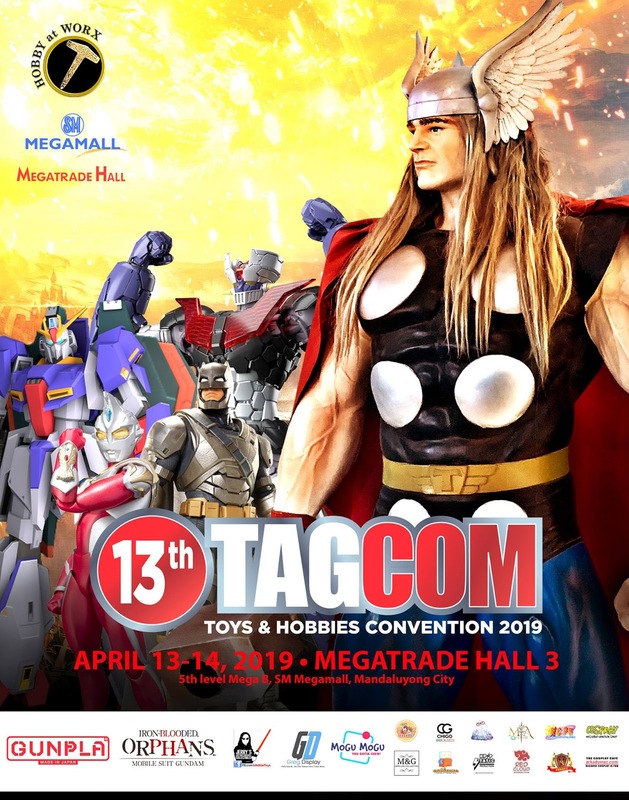 If you want to join the Cosplay Competition at the 13th TAGCOM, you better be there on April 13, 2019. Registration begins at 10:00am and closes at 2:00pm. The participants must be in costume upon registration. To avoid inconvenience, it is encouraged that participants arrive at the venue in costume. So our advice is to get dressed at the nearby allowed comfort rooms. Two (2) COPIES of a full body picture of the character. Registration forms. The participant should fill out a registration form provided at the event itself. It will be submitted upon registration together with the full body picture of the character. The Cosplay Catwalk will start at 4pm. Individual cosplayers are given a maximum of 0ne (1) minute stage time.. Failure to comply with the time limit will result to the disqualification of the cosplayer from the competition. 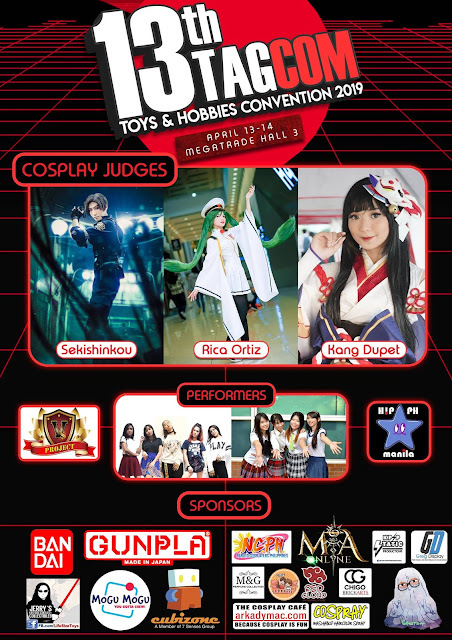 Cosplayers will be judged during the Cosplay Catwalk, from which the Best Male, Best Female, Best Child will be chosen. 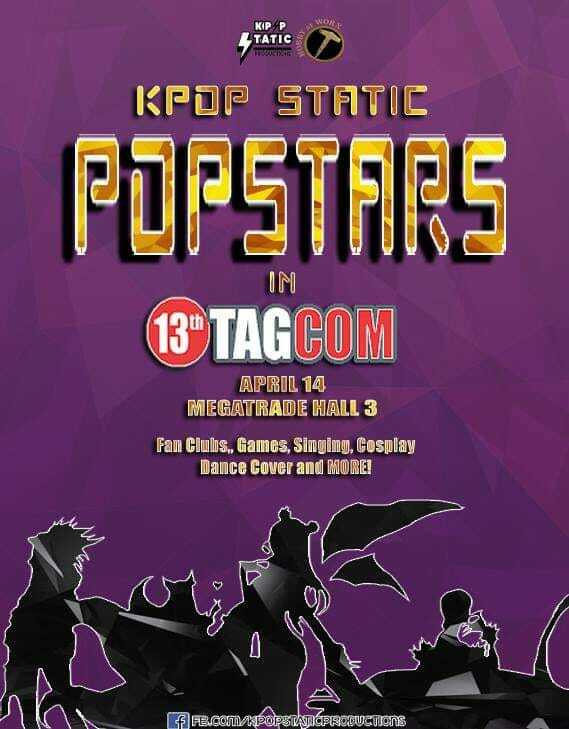 If you are into Korean Pop Culture then there will be a competition on April 14. Kpop Static Production in collaboration with Hobbi at Worx presents KPOP STATIC:Popstars! Competition includes singing, cosplay, and dance cover. There will also be various fanclubs present as well as raffle and games. Fore contest mechanics you can click this link or visit their KPop Static: Popstars! event page. For more information about the 13th TAGCOM please visit the official page of Hobby at Worx.